Although not always as expensive, buying a cheap used car for sale can be as daunting and confusing a prospect as buying a new car. You still have to consider the cost and type of used car for sale, but now face the potential pitfalls of used cars – is it legitimate, roadworthy and reliable – where do I buy a used car? Decide on a budget and make sure you stick to it. It should include the cost of insurance, fuel, MOT, road tax and servicing. Decide what type of car you want. You need to consider what you will be using it for- transporting children, pets, driving long distances regularly or for leisure use. 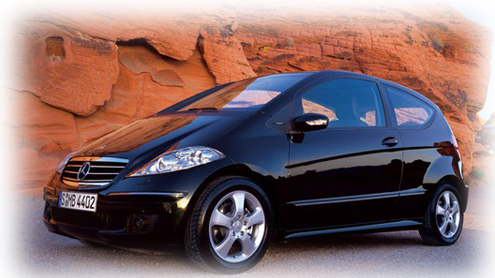 Decide how you are going to finance the cost of the car – a personal loan is one option for this type of purchase. It may be best to arrange finance before going any further, as you will then be forced to stick to your budget. 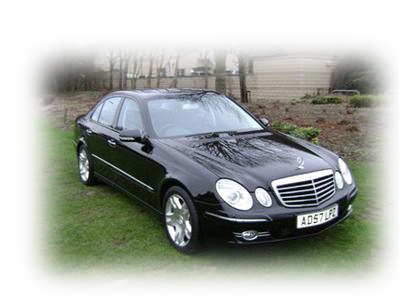 Shop around – look on the internet to get an idea of types of car and what the current prices are. Check papers, especially those like Autotrader that specialize in used car sales. There are also used car dealers (you have more rights and safeguards here than with buying privately)– take time to look around a variety of these and be prepared for possible hard sell techniques! Always view cars in good light – if it is dark or dull this is likely to hide faults. Taking along another person may be a good idea – they may be able to spot what you miss. For private sales, view the used car at the sellers’ home rather than let them bring it to you. It lets you see where the car is coming from. Check all the documents carefully – this could save you any future headaches. Look in the log book (V5) and ensure the name there matches that of the seller (for private sales). Check service history and records, Mot certificate (for vehicles over 3yrs old) and any receipts for repairs or maintenance. Make sure all the dates add up/make sense. Organize an independent inspection – this often pays for itself as it can pick up any potentially serious or costly problems. The RAC and Green Flag offer these, as do many other motoring organizations. Get an HPI check – this is very worthwhile as it identifies any stolen, written off or cloned vehicles. Take a test drive – for all the used cars you are interested in buying. This should be at least 15 minutes over a variety of different road surfaces. It allows you to decide if the car is comfortable and whether it handles well. Make sure the car is taxed and you are insured to drive it. Listen for any bumps, rattles or squeaks that could be indicative of a problem. Walk around the car and methodically check it. Be prepared to haggle over the price, and do not buy impulsively. It is often worth mentioning that you have been looking on the internet and are aware of current used car prices. And if you still have doubts or concerns at this stage, it is better to walk away from the vehicle and look for something else. If you want to know how to buy cheap used cars for sale from government auctions, look no further than your own local city. Police and government auctions are held all the time featuring cheap cars that have been repossessed or taken as property of the state. Call you local officials to find out more about how to buy cheap cars from government auctions, such as when these auctions are being held and where they are located. You’re bound to turn up some good information. You can also check listings in your local paper, which should carry information about such things. If you’re wondering about how to buy cheap cars from government auctions, then you must already know that buying cars from government auctions is a good way to turn a profit for yourself. You can re-sell these cheap cars for sale by owners to buyers who are looking for used cars for a variety of reasons. If you know anything about cars or work with someone who does, you can even do a little work on the cheap cars, upgrading them and thus upping their re-sell value. When you know how to buy cheap cars from government auctions, there are plenty of ways to make money. How to buy cheap cars from government auctions isn’t the hardest question to find an answer to. The question is how to find buyers from the cars you buy at government auctions? Put up colorful, eye-catching signs on busy roads, and be sure to list your cars for sale in local newspapers and perhaps even on the Internet. There are buyers out there, and the answer to finding them is in advertising. Knowing how to buy cheap cars from government auctions is the first step toward turning cheap cars into great profit for yourself. If you want to know how to buy cheap cars from government auctions, simply look around. Listen for announcements on the radio. Call your local government office. Check out listings in the newspaper. When you know how to buy cheap cars from government auctions, those cheap cars can become very valuable indeed. You are currently browsing the archives for the Used Cars category.